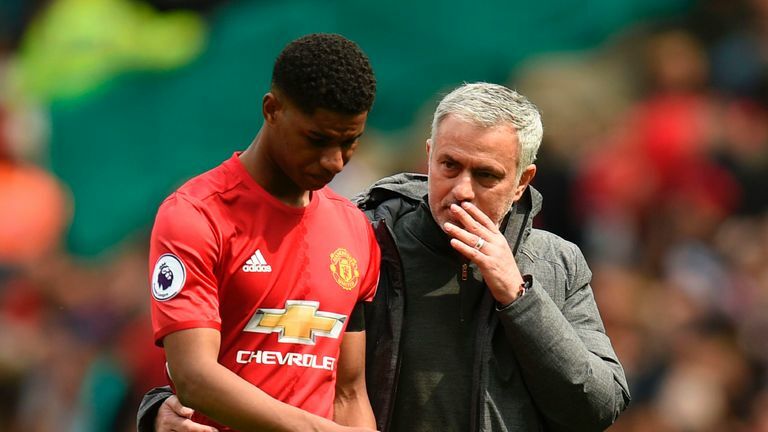 Jose on his dive - "no penalty and maybe a yellow card"
Jose Mourinho has joked his Wembley fall was deliberate - to give the media something to write about him during the international break. 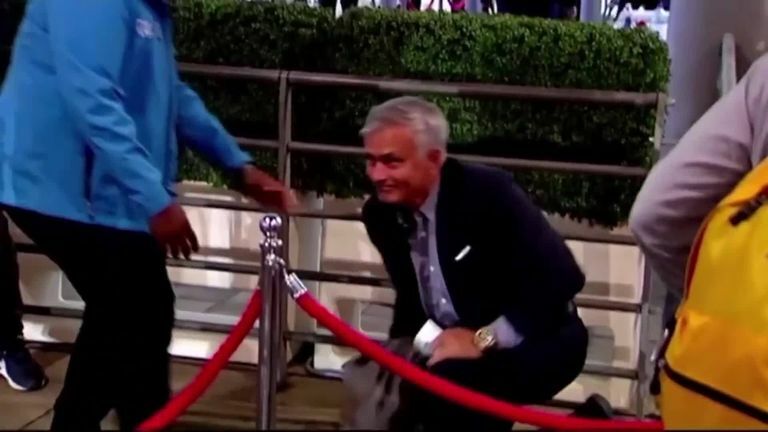 The video of Mourinho buckling while attempting to jump over the rope barrier at Wembley, ahead of England's 2-1 defeat to Spain last Saturday, has become a viral hit on social media. Despite embarrassing himself, the Manchester United manager faced up to his blunder while speaking at a Friday news conference before his side's trip to Watford. During his news conference, Mourinho made reference to critics he claims are "obsessed" with him. When pressed to identify them, he said: "It's the people that call me and ask me to fall at Wembley because they need news from me. "I did it on purpose so you [the media] could speak a little bit about myself." When asked if he hurt himself, Mourinho added: "No. It was a good dive and I protected my phones. No penalty and maybe a yellow card." Watch Mourinho make light of his embarrassing fall at Wembley by clicking on the video above.